Online surveys > Support articles > Help & support > Distributing your survey > How do I receive a survey responses digest? How do I receive a survey responses digest? 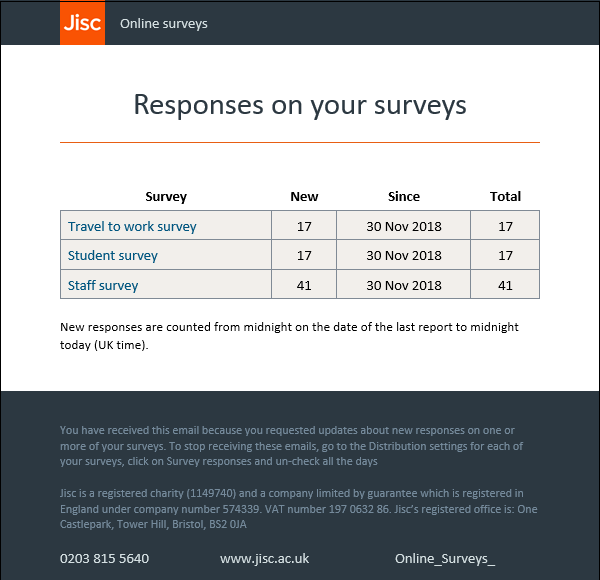 What is a survey responses digest? A responses digest is an email that will update you on how many new responses your survey has received. You can choose to receive updates from as many surveys as you like and they will be collated into one convenient email. You can determine the frequency for each of your surveys from as often a daily to weekly. How do I receive a digest email? Important: You must be the Survey Contact to set up and receive a digest for any survey. See here for notes on how to change a Survey Contact. Go to Distribute tab of your survey. Expand the Survey responses section. Choose the frequency of your digest by selecting the days of the week you want to receive it. What is it important to know? Only open surveys will be included in the digest. Digest emails will be sent at 09:00 UK time. The digest will include responses completed before 00:00 that morning. You will not receive a digest on the day you set it up. How do I stop receiving a digest email? To stop receiving a digest, you just need to reverse the actions taken to set it up. 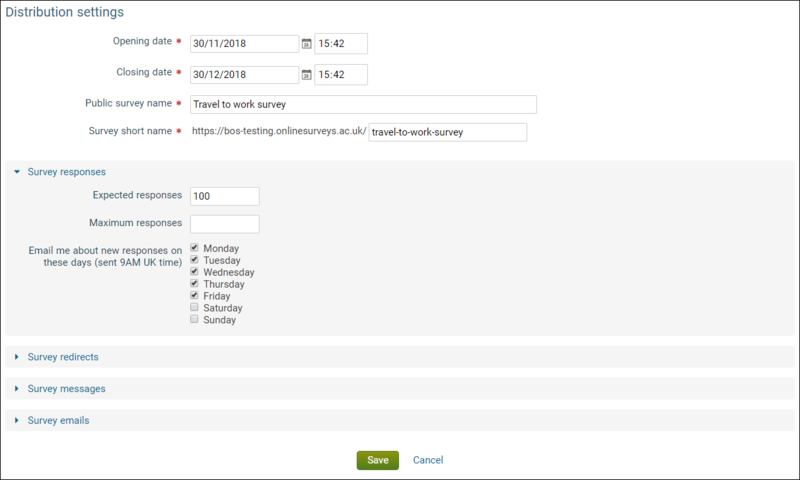 The digest provides a link to each of your surveys so you can easily find them and make sure all of the days are unchecked in Distribution settings. Once you have unchecked the days for receiving the digest in all your surveys, you will stop receiving any emails. What is the Survey Contact?